I am a Toyota fanboy. 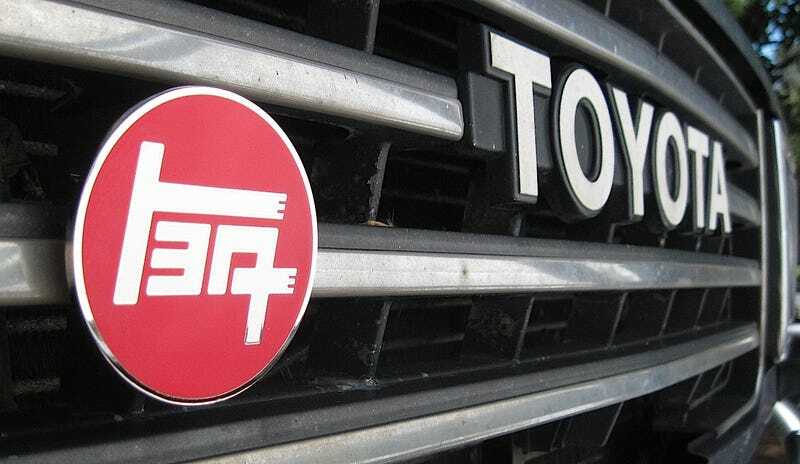 Every time I see that old “TEq” Toyota emblem, I am filled with pride stemming from a long history of fantastic cars. What really started it all was when one of my best friends got his first car in high school - a 1985 Celica GT. Helping him work on it was a major contributing factor that got me into cars. My first car was a 1988 Supercharged MR2 which I still drive several times a week. I’ve also owned two Cressidas- a sedan fix-and-flip project, and a wagon I converted to be basically a Celica-Supra underneath. A Matrix XRS takes care of my daily driving duties, and I’m currently building an FX16 track car. I’ve had friends with various generations of Celica, Supra, Corolla, Cressida, MR2, Truck, 4Runner, the list goes on. To say that I’m passionate about old Toyotas is an understatement. Back in the late 70’s, up through the late 90’s, Toyota produced some seriously fun, interesting cars. Their first sporty coupe was the Sports 800, a mini-2000GT in terms of styling, powered by a small boxer engine. As they rose to challenge the Jag E-type with the 2000GT in the late 60’s, Toyota showed the world that the Japanese could compete on the automotive world stage. They then decided that rather than making super expensive supercars for the super-rich, they would take the technical lessons learned from the 2000GT and apply them to smaller, cheaper cars that focused on quality, fun, and reliability over outright speed. Looking to produce a sporty coupe for the world market, Toyota then released the Celica, a 2+2 coupe or fastback that borrowed some styling cues from big American muscle cars and scaled them down to a light, nimble chassis. The Celica was a big success for Toyota, and in its second generation, the Celica-Supra package became available. With a longer, more aggressive front end and a more potent inline six cylinder engine under the hood (descended from the same ‘M’ block family as the 2000GT engine), making good on the performance look of the sleek body style. The Celica-Supra package would be available in a second generation (third generation of the Celica) from 1982-1986.5, when halfway through the 1986 model year, they introduced the Supra as a stand-alone model, entirely separate from the Celica. In 1987, the magical combination of a Supra nameplate and turbocharging was available for the first time, paving the way for what would eventually become one of the most iconic performance cars ever to come out of Japan, the famous Mark 4 Supra twin turbo from the mid- to late-1990’s. In the early 1980’s, Toyota had introduced the 1.6L, 16 valve 4A-GE engine. With good punch for it’s size, great throttle response, and 7,500 rpm redline, the 4A was a screamer of an engine that was an instant hit with enthusiasts. The 4A quickly became Toyota’s go-to for their sporty lineup, in everything from the Japan-only Celica GTR, to the instant classic AE86 Corolla GTS. They even mated the revvy 4-banger to a transaxle and mounted it in the front-drive Corolla FX-16, and the mid-engine AW11 MR2. By the late 80’ it was clear that forced induction was the way to go for performance cars. Toyota had already experimented with turbocharging in their rally racing program and on the flagship Supra models, as well as supercharging on the MR2, but the time came to introduce a 4-cylinder turbo model to the masses. For the 2.0L 3S-GTE engine, Toyota again turned to Yamaha to design a high-revving aluminum cylinder head for their new turbo engine. In the late 80’s, they put the 3S to the test in the new Celica GTFour (AllTrac in the US) all-wheel drive rally car, winning the World Rally Championship in 1990. The same year, a new twin-scroll turbo variant was available in Toyota showrooms under hoods of the next generation Celica and MR2, allowing for greater power and turbo response. The 3S would be available into the mid 1990’s (in the US) until the MR2 and AllTrac Celica sadly priced themselves out of the market. In addition to all this rich performance car history, Toyota had also established their off-road prowess through many generations of the legendary Land Cruiser. Released as a military-type offroad vehicle in the postwar years, the Land Cruiser was an immediate success, as a perfect demonstration of Toyota’s technical ability to construct a rugged, reliable truck that could go anywhere and do anything. The early FJ Land Cruisers, when properly restored, go for huge money today, and were one of the first Japanese vehicles to be widely embraced as a collectible classic in the western world. In the early 80’s, Toyota expanded their offroad lineup with the Truck-based 4Runner. One of the greatest offroad vehicles of all time, the 4Runner also had cool features like built-in altimeter/incline/yaw gauges and a removable rear roof. Clearly, Toyota has a long history of performance and enthusiast vehicles, but they also managed to inject many of their standard cars with a bit of fun and personality. Cars like the Starlet, Cressida, Corolla, and even the Van had little hints of greatness in their design. The Starlet was a rear-wheel drive lightweight hatchback just ripe for a 4A-GE transplant to liven things up. The Cressida was essentially a Celica-Supra in sedan form. The Corolla had so many variants that you could get any combination of fun and practicality that you could possibly desire, and the Van was, surprisingly, quite the capable off-road vehicle and had loads of character. Fast-forward to recent years. The Supra, MR2, Cressida, and Celica are all dead and gone. The last cars with a hint of enthusiast character died with the MR2 Spyder and the 2ZZ-powered cars. The only sporty car in Toyota’s lineup is made by Subaru. The Land Cruiser is no longer a rugged offroader, but an eighty-thousand-dollar luxury cruise ship on wheels. The quick, fun Corolla of yore is now a bland economy appliance. Toyota has completely forgotten its heritage and is now to cars what Kenmore or Whirlpool are to refrigerators. Sure, the FR-S/GT86 was supposed to bring the fun back, but it’s not a real Toyota, it’s a Subaru with Scion/Toyota badges. Even the legendary Supra nameplate will be returning with a BMW powerplant. There have been a few glimmers of hope, such as the GRMN Yaris, but is getting only 100 examples produced and a Japan-only release. It seems the days of Toyota-engineered performance and fun is a thing of the past, and that is a real shame.